Where would you be without your BFF? Childhood friends. School friends. Neighborhood friends. College friends. Work friends. Best friends. Boyfriends. Girlfriends. We work our entire lives building friendships — from preschool, where we all learn that "it takes a friend to make a friend," through adulthood, where we mingle at bars and water coolers. All of us crave closeness with other human beings. We just need to know there's someone out there who gets us. And sharing your thoughts with the help of some inspirational, cute and positive friendship quotes is a creative way to show how much you care about your BFFs. 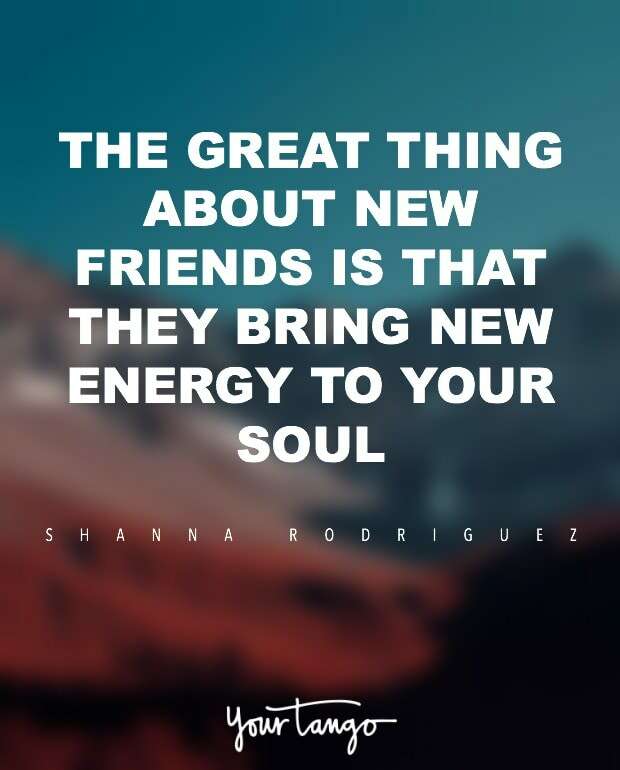 Whether we have a small group of close friends or an expanded group of personalities, each of our friendships brings something new to our lives, inspiring us to see the world a totally different way, giving us a new shoulder to lean on, and a new cheerleader to root us on. Friendships come in all sorts of forms: serious ones, like the college friend you discuss politics with, silly ones, like the squad you do Halloween with, chill ones like your wine and Netflix buddy. Some friendships even turn into something more. Each friendship offers something totally unique and irreplaceable. And each friendship in our life ultimately makes us who we are. This is why we spend so much time cultivating these relationships and learning how to be a good friend. This is why we show up after breakups, at graduations, at weddings, and at funerals. 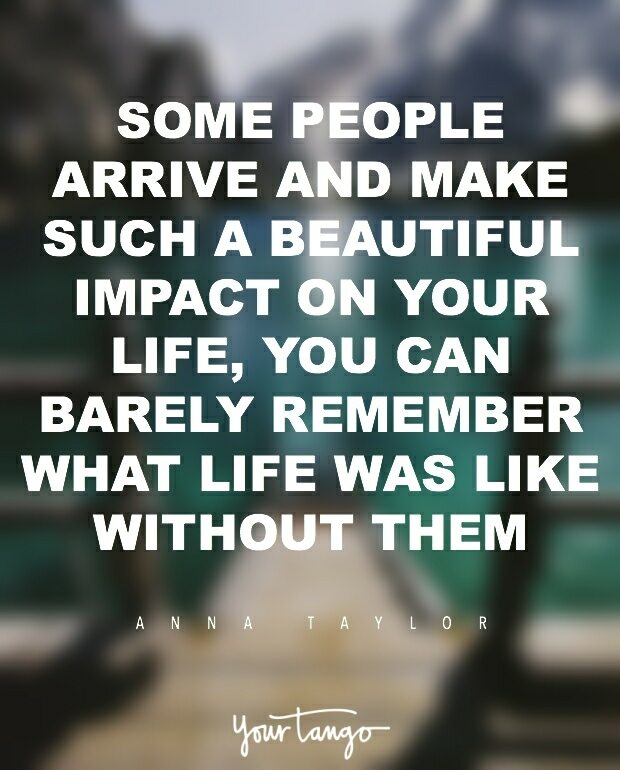 This is why, near or far, our friends hold a special place in our hearts forever. We all know a true friend is hard to find. So when you do find one, hang on tight! It also doesn't hurt to let your best friends know every now and then just how much they mean to you. The friendship quotes below perfectly describe the beauty of friendship. So go ahead and share one with your sister from another mister or brother from another mother. You might even learn a few important lessons about being a good friend along the way. 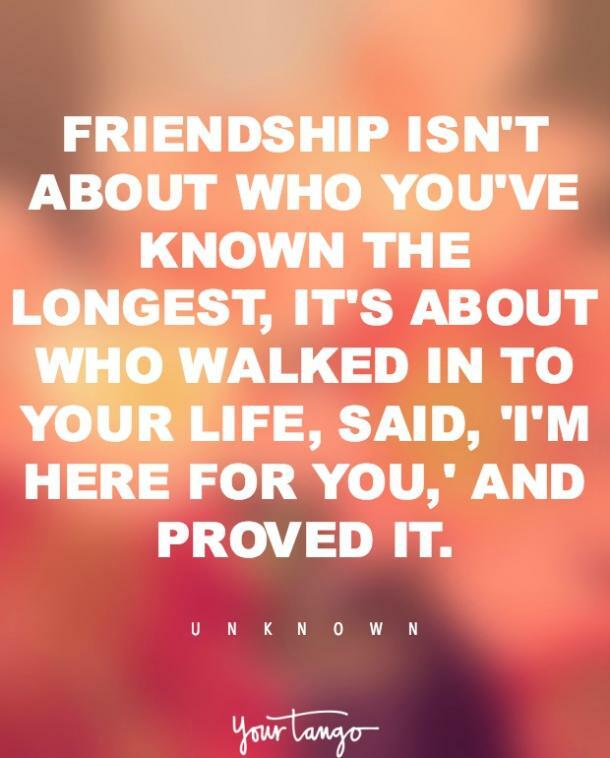 Here are 100 of the best inspirational, cute and positive friendship quotes to share with those funny, motivational friends in your life who are special beyond compare. "Friendship is born at that moment when one person says to another: 'What! You too? I thought I was the only one." "Life isn't about having a thousand friends, it's about finding the very few right ones you need." 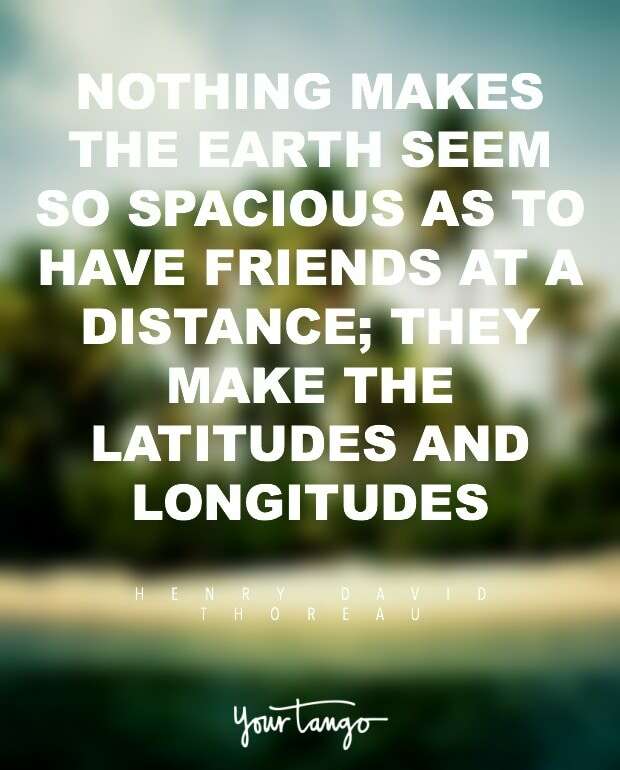 "Nothing makes the earth seem so spacious as to have friends at a distance; they make the latitudes and longitudes." "There are friends, there is family, and then there are friends that become family." "No friendship is an accident." "Friendship is all about trusting each other, helping each other, loving each other and being crazy together." 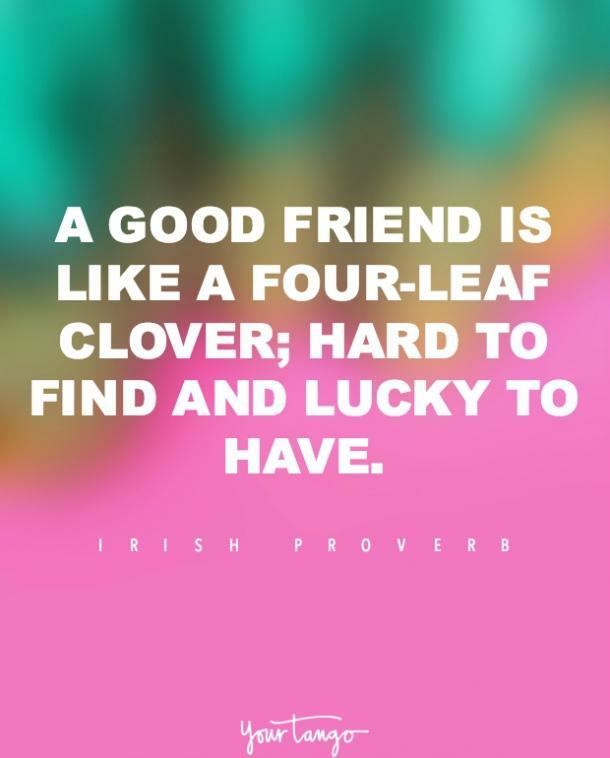 "A good friend is like a four-leaf clover; hard to find and lucky to have." "Friends are the people who make you smile brighter, laugh louder and live better." "I would rather walk with a friend in the dark, than alone in the light." "A best friend is someone who understands your past, believes in your future, and accepts you for the way you are today." "Friendship marks a life even more deeply than love. Love risks degenerating into obsession, friendship is never anything but sharing." "Good friends don't let you do stupid things ... alone." 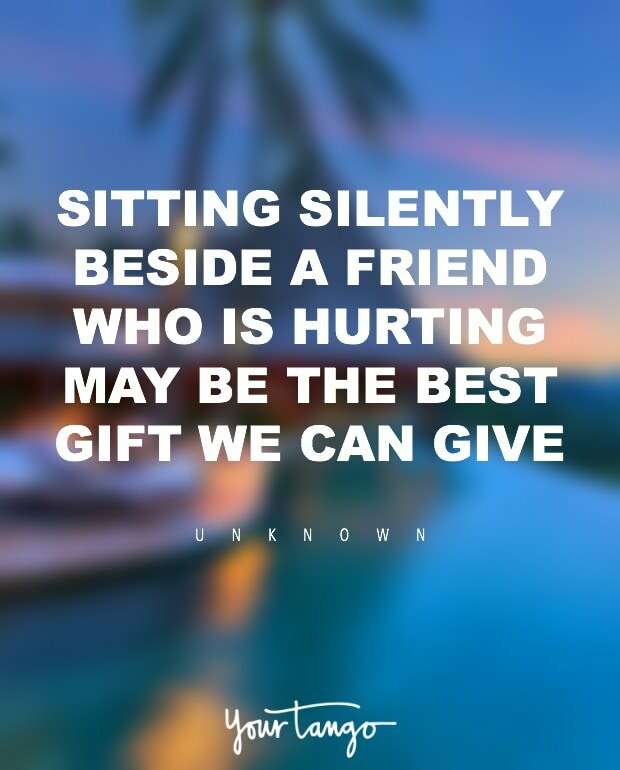 "Sitting silently beside a friend who is hurting may be the best gift we can give." "Friends make the world beautiful." "Friendship is the hardest thing in the world to explain. It's not something you learn in school. But if you haven't learned the meaning of friendship, you really haven't learned anything." "Maybe our girlfriends are our soulmates and guys are just people to have fun with." 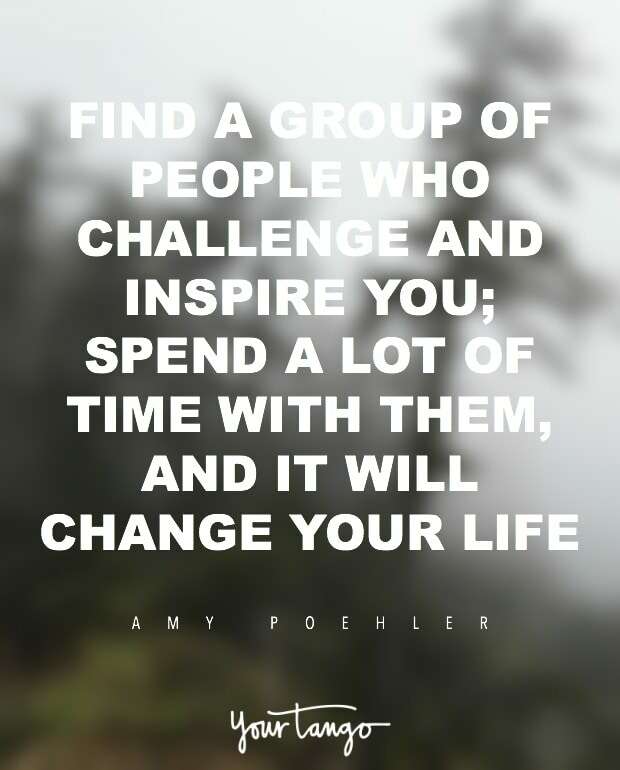 "Find a group of people who challenge and inspire you; spend a lot of time with them, and it will change your life." "You are the sister I got to choose." "Dear George: Remember no man is a failure who has friends." "A strong friendship doesn't need daily conversation or being together. As long as the relationship lives in the heart, true friends never part." "A friend is one that knows you as you are, understands where you have been, accepts what you have become, and still, gently allows you to grow." "I hit the BFF jackpot for sure." "The great thing about new friends is that they bring new energy to your soul." "We need people in our lives with whom we can be as open as possible. To have real conversations with people may seem like such a simple, obvious suggestion, but it involves courage and risk." "Anybody can sympathize with the sufferings of a friend, but it requires a very fine nature to sympathize with a friend's success." "Girls can survive without a boyfriend, but they can't survive without a best friend." "Don't walk behind me; I may not lead. Don't walk in front of me; I may not follow. Just walk beside me and be my friend." "A friend is someone who knows the song in your heart and can sing it back to you when you have forgotten the words." 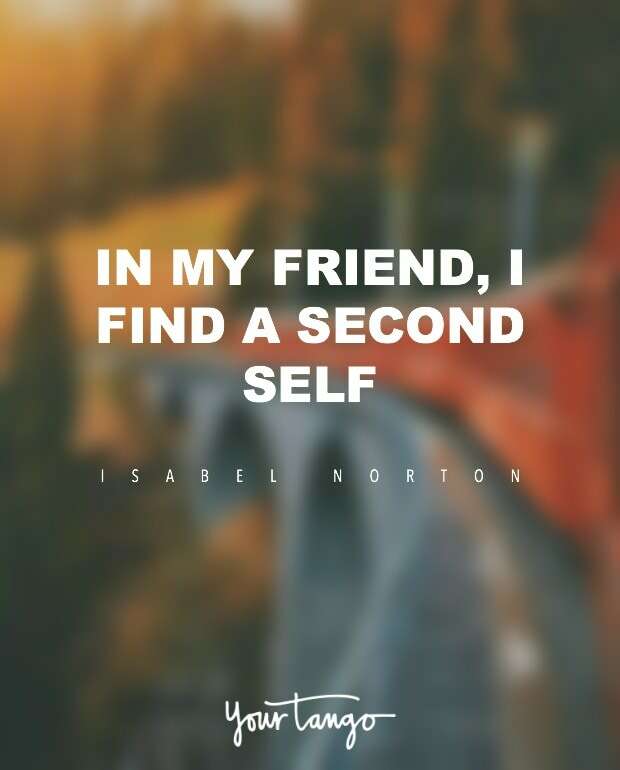 "In my friend, I find a second self." "Dear best friend: just a daily reminder that you are beautiful and I love you." "It takes a great deal of courage to stand up to your enemies, but a great deal more to stand up to your friends." "Good friends are like stars. You don't always see them, but you know they're always there." "Wishing to be friends is quick work, but friendship is a slow-ripening fruit." "A true friend accepts who you are, but also helps you become who you should be." "Friendship isn't about who you've known the longest, it's about who walked in to your life, said 'I'm here for you,' and proved it." "My circle is small, but the love is enormous and genuine. It gets no better." "There is nothing like puking with somebody to make you into old friends." "A true friend reaches for your hand and touches your heart." "Lots of people want to ride with you in the limo, but what you want is someone who will take the bus with you when the limo breaks down." 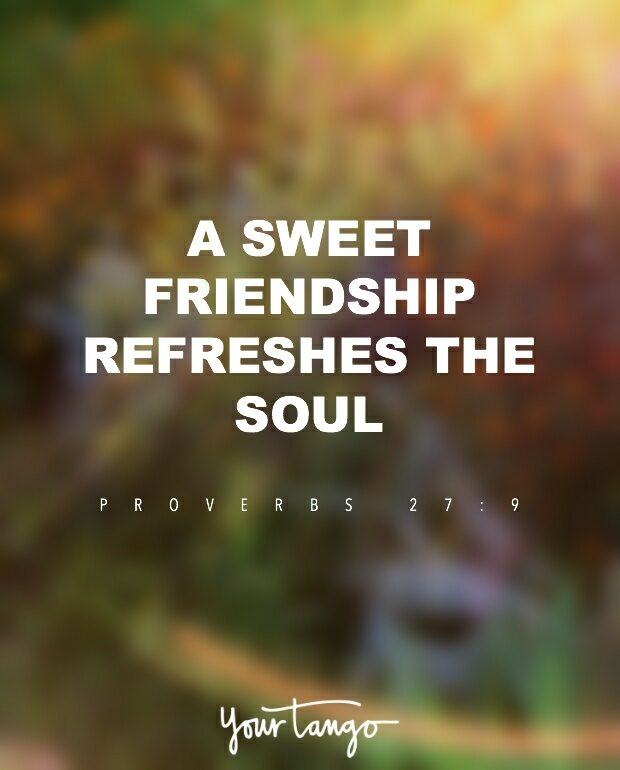 "A sweet friendship refreshes the soul." "The most memorable people in life will be the friends who loved you when you weren't very lovable." "There's not a word yet, for old friends who've just met." ― Jim Henson, "I'm Going To Go Back There Someday"
"You and I are more than friends. We're like a really small gang." "When a woman becomes her own best friend, life is easier." "Friendship. Like a comforting coffee and a sweet snack." "There is nothing I wouldn't do for those who are really my friends. 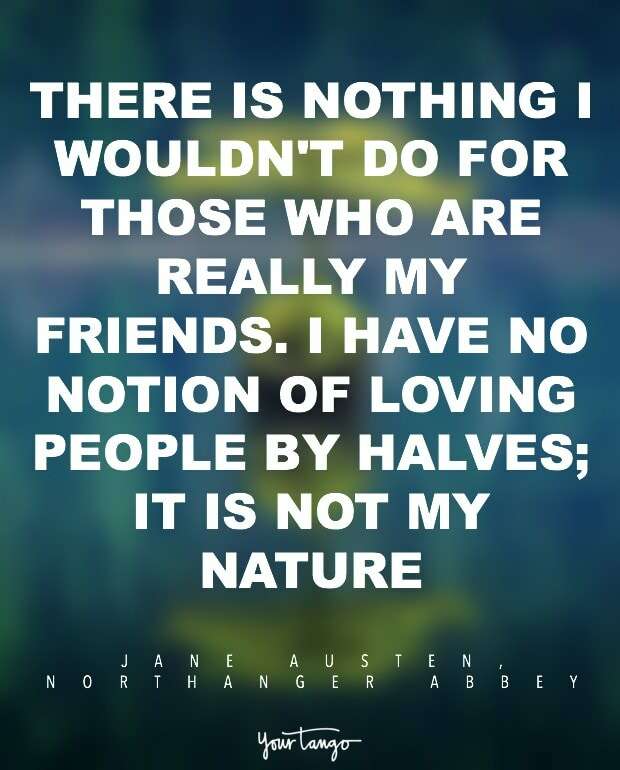 I have no notion of loving people by halves; it is not my nature." "And till the end you're my very best friend." "Wow .... Only a true friend would be that truly honest." "Friendship to me isn't about how much we talk, but instead how much we're there for each other in times of need." "Friendship is delicate as a glass, once broken it can be fixed but there will always be cracks." "Be slow to fall into friendship, but when you are in, continue firm and constant." "Having a soulmate is not always about love. You can find your soulmate in a friendship too." "True friends are like diamonds — bright, beautiful, valuable, and always in style." "If you have a best friend that you can talk to about anything and they won't judge you, never let them go." "Some people go to priests. Others to poetry. I to my friends." "You will always be... the sister of my soul, the friend of my heart." "I never had any friends later on like the ones I had when I was 12." "Friends are angels that lift us to our feet when our wings have trouble remembering how to fly." "True friendship is never serene." "I get by with a little help from my friends." "A friend is someone you can call at any hour to laugh or cry or complain." "Boys are whatever. Friends are forever." "An insincere and evil friend is more to be feared than a wild beast; a wild beast may wound your body, but an evil friend will wound your mind." "I like you because you join in on my weirdness." "Friends should be like books, few, but hand-selected." "It's the friends we meet along the way that help us appreciate the journey." "Friend who listens, doesn't judge, and somehow makes everything all right." "We'll be friend 'til we're old and senile. … Then we'll be new friends!" "In the cookie of life, friends are chocolate chips." "A friend who understands your tears is much more valuable than a lot of friends who only know your smile." "That grow together type friendship." "You have been my friend," replied Charlotte. "That in itself is a tremendous thing." "True friends are the ones who lift you up, when no one else has noticed you've fallen." 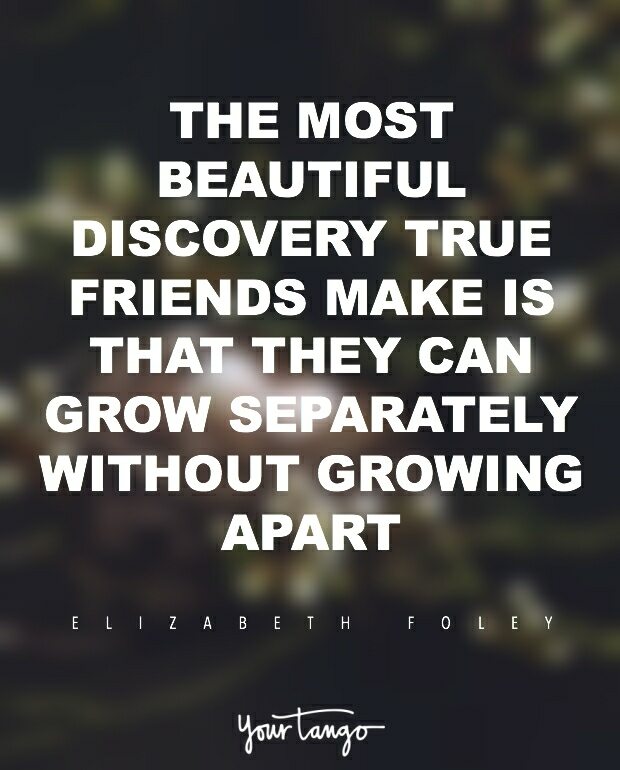 "The most beautiful discovery true friends make is that they can grow separately without growing apart." "One loyal friend is worth ten thousand relatives." "There is nothing better than a friend, unless it is a friend with chocolate." "Friends are the sunshine of life." 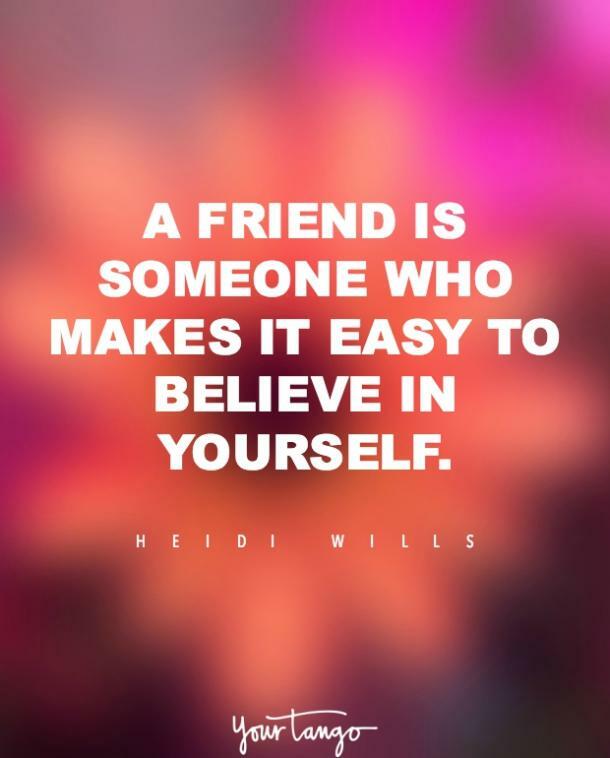 "A friend is someone who makes it easy to believe in yourself." "Talking to your best friend is sometimes all the therapy you need." Oh you're my best friend"
"If you wanna find out who's a true friend, screw up or go through a challenging time ... then see who sticks around." "The best mirror is an old friend." 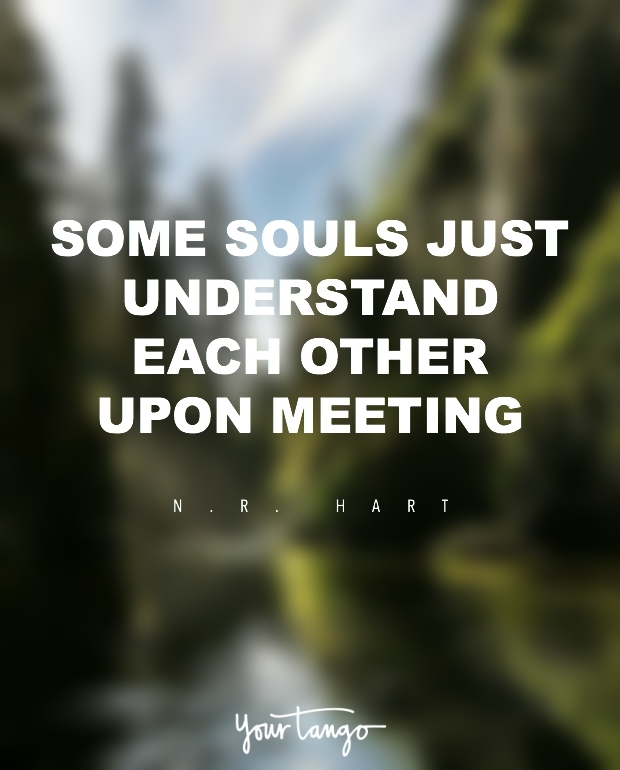 "Some souls just understand each other upon meeting." 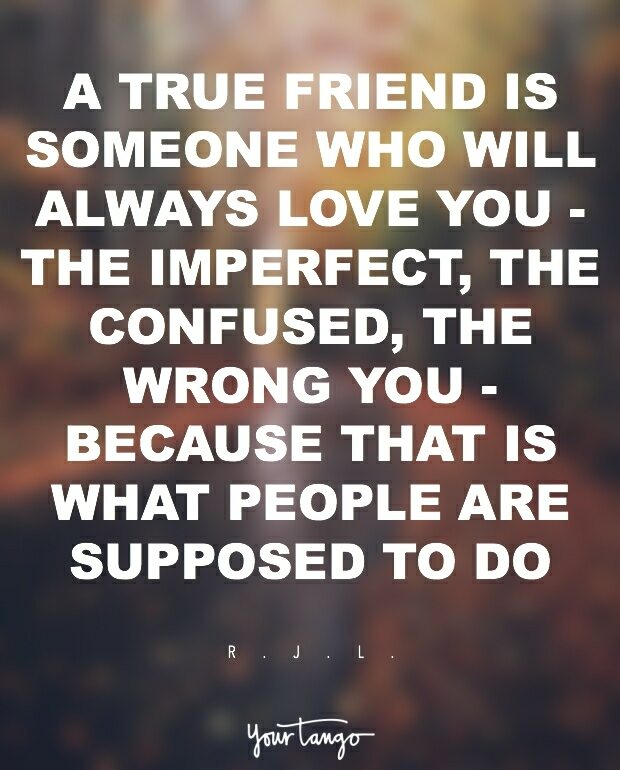 "A true friend is someone who will always love you — the imperfect, the confused, the wrong you — because that is what people are supposed to do." "The only way to have a friend is to be one." "'We'll be friends forever, won't we, Pooh?' 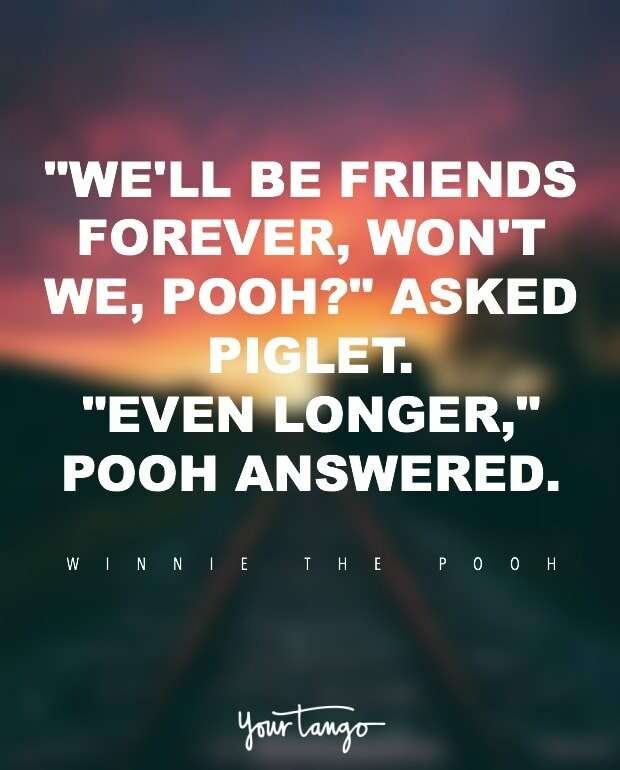 asked Piglet. 'Even longer,' Pooh answered." 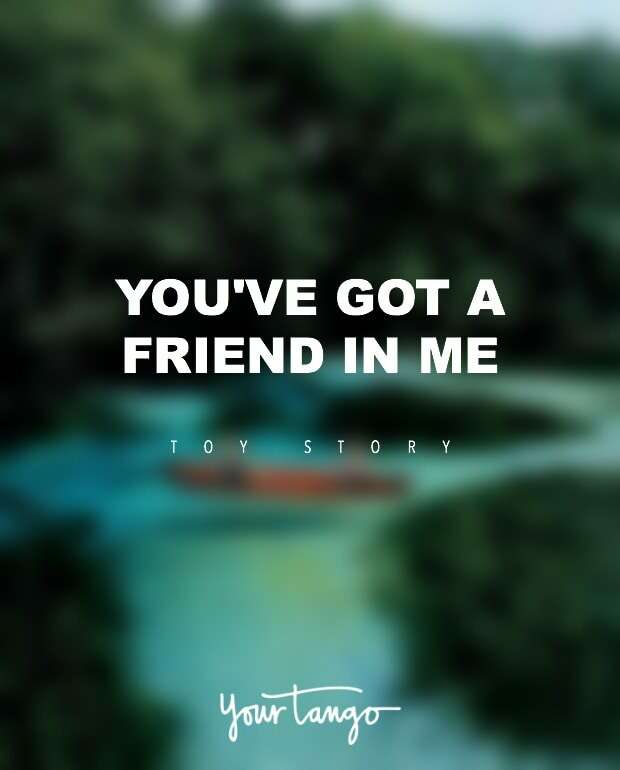 "You've got a friend in me." "A friend to all is a friend to none." 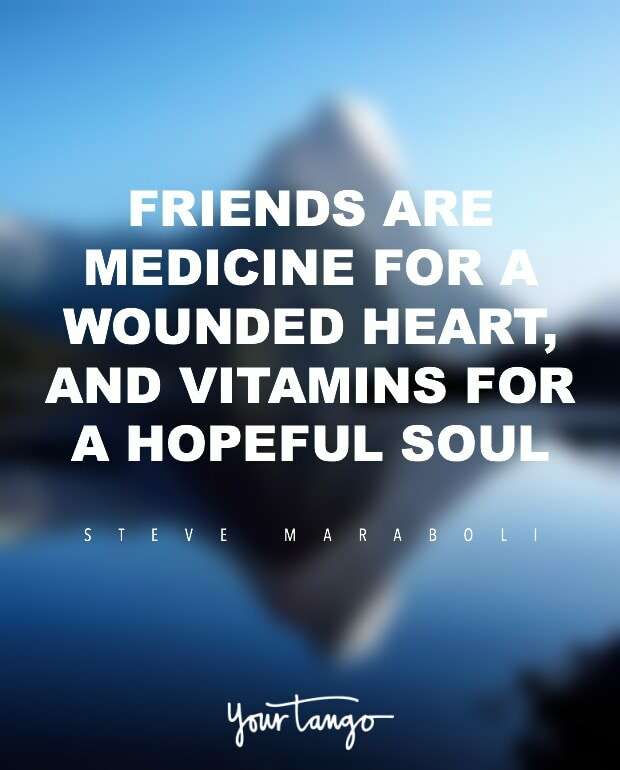 "Friends are medicine for a wounded heart, and vitamins for a hopeful soul." 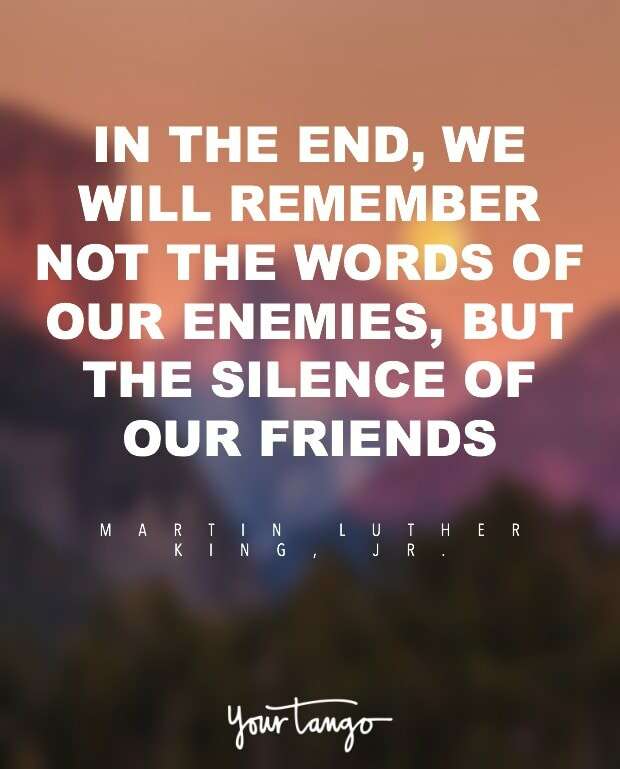 "In the end, we will remember not the words of our enemies, but the silence of our friends." "You are my best friend, my human diary and my other half. You mean the world to me and I love you." "No one will ever be as entertained by us as us." If you're searching for the best quotes and memes to share with the people you love (or just want to feel inspired yourself), look no further! From the sweetest love quotes, inspirational sayings, and hilarious relationship truths, we've got you covered. Kristine Soloman is the former Executive Editor of YourTango, the top website for relationships, love and wellness for women.